User architecture is the term I use to mean how the user perceives the structure of the intranet. The UA components are (A) the top level categories (level 1 navigation), (B) the entry page design and (C) the global gateway. 1. 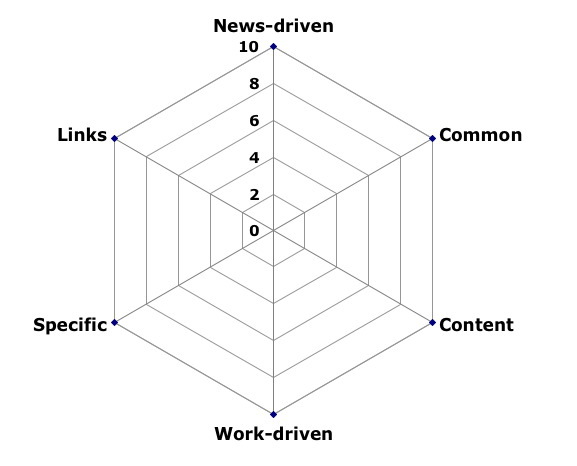 Define top level categories ( level 1 navigation) in user terms, not in terms of the source of the content. This results in categories defined according to subject or purpose (user populations who have similar needs). 2. Ensure that clear mission statements exist for each : for example, this space provides these things for these people. Or even better, this space lets these people do A, B or C by providing them with X, Y Z. 3. 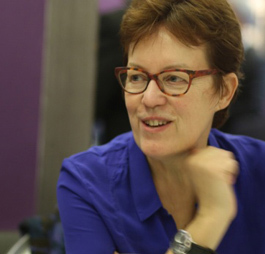 Implement a double-ownership approach, with roles in charge of the spaces and thereby representing user needs, and other roles in charge of content, thereby ensure information and services of high quality and relevance. 4. Distinguish between content created “for us by us” and “for others by us”. Departments and functions tend to want to put both in the same space on the intranet, and this is not logical for users. 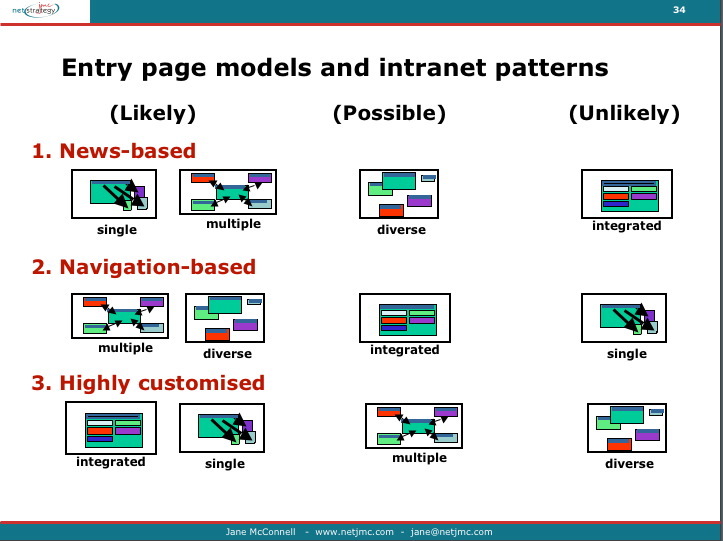 The slide below relates types of entry page models with different intranet landscape patterns. (I have described these patterns in previous articles: How intranet and portals landscapes evolve. A simple entry page decision spider can be a useful tool when making these decisions, in particular when working together with colleagues in different parts of the organisation. It helps focus the discussion. Global gateways are more common on internet web sites than on intranets. I have personally rarely seen them done well for internal intranet landscapes. I have seen many intranet site maps (usually automatically generated and either too high level or too detailed to be useful for users). However, a site map is not a gateway page. The gateway references all parts of the whole landscape, not all parts of a single site. The idea is to have a single page, always available from the top banner, that provides links to all parts of the organisation’s intranet landscape. The links may be organised by site, topic, target user population, geography or other criteria. The gateway page is especially useful in an intranet landscape that has lots of diverse sites rather than one where there is already a user logic or portal spirit. A list of the “dynamic places and services” of the intranet is also helpful. It lists discussion groups, project rooms, notification services, blogs, wikis and so on within the overall intranet landscape. Depending on volume, it can be incorporated into the global gateway or be a second level global page. Of course, the more granular the gateway is, the more difficult it is to keep it up to date. With the right degree of detail it can be a useful navigational tool for users.